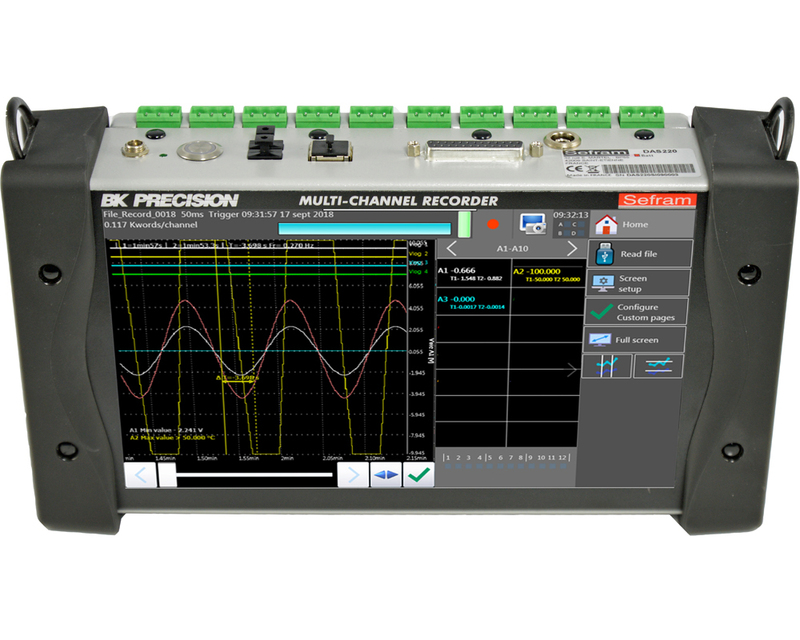 The Data Acquisition Solution DAS220 is the right answer for your recording needs. 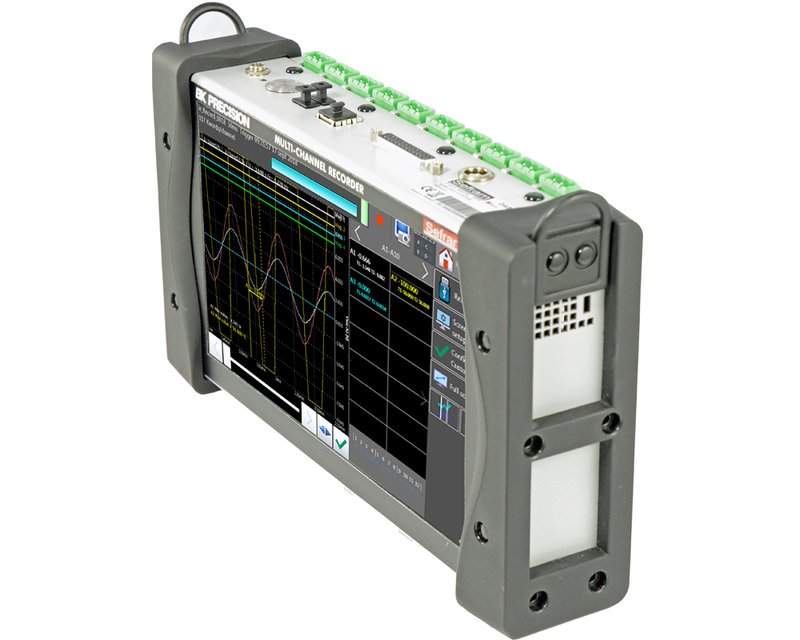 With 10 channels and 12 logical inputs the DAS220 has been designed to measure all parameters you can find in a industrial process: voltage measurements, measurements on sensors (0-10V), temperature measurements (thermocouples, Pt100-1000), current measurements (with optional shunt), resistance measurements, pulse counter, frequency. You can view directly the results of measurements (graphs, numerical values) and memorize your results in the device or in a USB memory stick. The data transfer, data processing, remote setup can be done with the license-free DasLab software. Our complete range of data acquisition solutions allows you to analyse and record all types of measurements: voltage, current, temperature, physical and environmental parameters. Our portable and bench solutions will meet all your industrial and technical needs. The data can be directly recorded in digital format or on thermal paper. It can also be processed via free software (Sefram Viewer) in Excel, txt or csv format. It is possible to wait for triggers to be activated to monitor electrical changes. Triggers can be rearmed again. Or in continuous mode: the storage capacity on hard disk or memory is so deep that we can store data over very long times! Our acquisition systems can monitor electrical networks (up to 4 networks simultaneously) with network frequencies ranging from 40Hz to 1kHz. All our solutions are communicating via a network ETHERNET, USB port, WiFi, we can also remote control our solutions (VNC or Sefram Pilot: free). 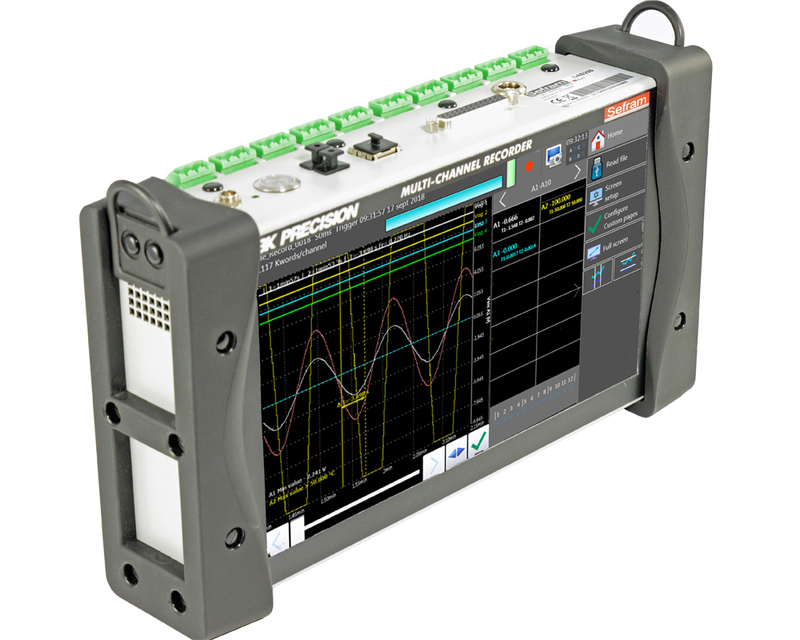 A range of dedicated accessories complements our SEFRAM data acquisition offer. Create persuasive graphics and documents using FlexPro View. The optimized, user-friendly interface makes it easy to design, scale and position your diagrams, tables and text. Choose from over 100 types of diagrams, or use drag-and-drop to insert curves and axes. An extensive array of cursor functions provide for easy inspection and marking of data. Data visualization has never been easier! FlexPro Standard combines impressive presentation features with powerful, mathematical analysis functions. Use the pre-designed analysis objects to obtain your data analysis results faster and more reliably at the click of a button. Customize the analysis procedure and immediately view its effect on the results. Develop your own analysis algorithms in FPScript: Over 200 functions and a variety of operators are available to you. This cable is used to connect your application, using safety bananas connectors, to the channels input board of the DAS220 or the DAS240. Delivered in sets of 10 pieces.